Experience a gentle yoga practice that supports the treatment of endometriosis with Dustienne Miller, a board certified women’s health physical therapist and Kripalu-trained yoga teacher. Download only; file size is 554 MB. Experience a gentle yoga practice that supports the treatment of endometriosis with Dustienne Miller, a board certified women’s health physical therapist and Kripalu-trained yoga teacher. As she guides you through slow, mindful movements that work to release tight fascial bands in the abdomen and increase function, you’ll discover a practice that helps reduce pain and improve your quality of life. Each clearly demonstrated movement is designed to guide you safely through a home yoga program, created specifically to reduce pain and symptoms associated with endometriosis. This easy-to-follow, stress-relieving home practice serves as a holistic complement to pelvic health physical therapy and traditional medical approaches. Relaxation allows you to experience the physical letting go of the muscles relaxing. The parasympathetic nervous system response is increased and you feel your body and mind softening in a safe and supported way. Each flow works to retrain muscular holding patterns, promote healthy tissue function, balance muscle groups, and to create a safe space for healing in your own home. 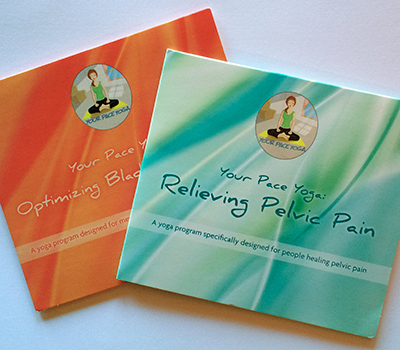 By integrating these flows into your overall pelvic health strategy, you create another opportunity for self-care and increase the potential to live your healthiest, happiest life. 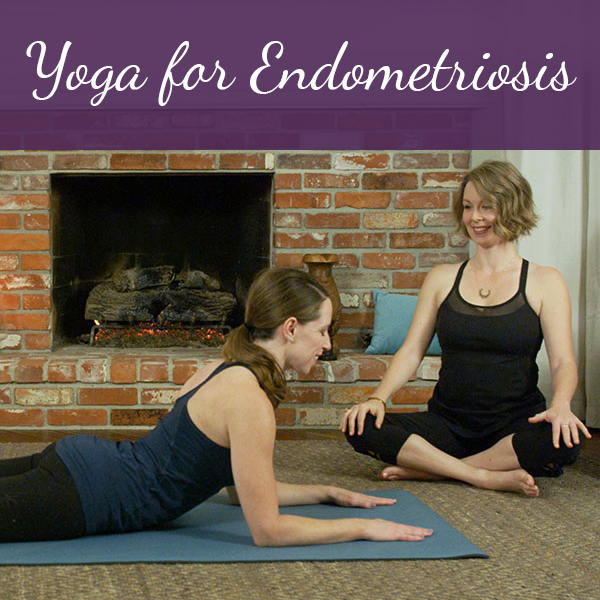 Learn more in the “Yoga for Endometriosis ” blog article. I’ve practiced acupuncture for years as a means to reduce pain from endometriosis and aid in digestive issues. In the last year, I added Pelvic Floor PT as my body seems to have shifted into a more intense hormonal period that requires additional support. Dustienne’s more specialized yoga sessions have been the perfect addition to my overall treatment plan. The compact endometriosis and constipation-dedicated workouts are very doable even during my busy work week, which includes a long commute. The emphasis on deep breathing, stretching, focus and relaxation not only help to mitigate my symptoms (e.g., pain in lower back/sides/tailbone, bloating, constipation, fatigue) but offer a vehicle to assess what’s going on in my system and identify where I’m most symptomatic. This informs where I might benefit from adjustments to my diet (less sugar!) and the amount of rest and sleep I might need during a given period. The videos have reminded me just how effective basic breathing and body consciousness can be given our hectic lives…much of it spent in front of a screen. They quite literally remind you to stop and breathe! Upon finishing the workouts, I feel more relaxed, more open/nimble, and I have a sense of control over my symptoms. I’ve found that there is no silver bullet for treating endometriosis but rather it requires a multi-pronged treatment strategy that gives you at least some influence over your own wellness and, perhaps most importantly, hope. The videos also acted as a gateway activity, inspiring me to resume more general yoga workouts when my schedule permits. 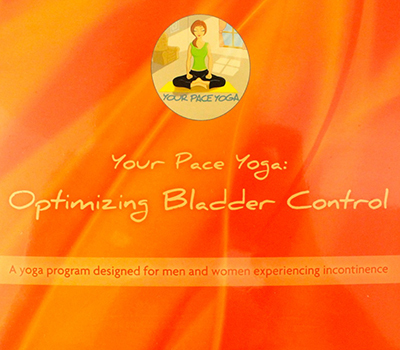 I bought this video after first purchasing and utilizing the Yoga for Interstitial Cystitis video. I was so helped by the IC video, that I wanted to try Dustienne’s other yoga routines. 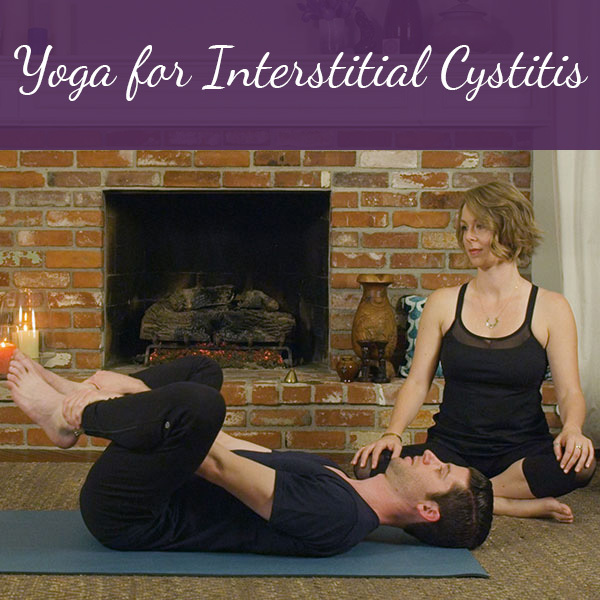 Although I am not suffering from endometriosis, the various stretches in this video that relax the pelvic floor muscles have really helped to reduce my interstitial cystitis symptoms. I even emailed Dustienne to confirm that it was safe for me to do this video as an IC patient, and she quickly replied that it was. The guided breathing techniques that are incorporated throughout the video are especially relaxing. I highly recommend this video to anyone who has overly tight pelvic floor muscles.